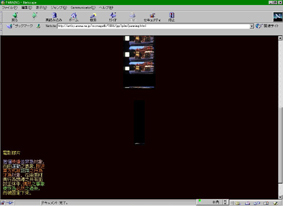 Since 1995, MACHIDA CITY MUSEUM OF GRAHIC ARTS is producing the online, open Exhibition using the World-Wide Computer Network, the Internet. We will explore the Potentials of "HOME PAGE" as a new Medium of Art. In this second "ART ON THE NET" Exhibition, we invited the original "HOME PAGE art" via the Internet. And we are very pleased that so far, over 100 Artworks have been applied. Among those, the five Jurors representing five Poles in the World selected the THE ART ON THE NET PRIZE, the Silver Prize and the Bronze Prize works.